On Irish Spins, you are in for a sensational spinning experience. Discover the unlimited possibilities. Want to learn more about casino slots? Whether you are a beginner or seasoned player, there’s always some important things you can learn – and even more you can win. It’s easy to play online slot machines. In fact, you spin the reels and the symbols create combinations that can lead to some huge wins. The best way to play online slots for real money is to get to know some of the more common elements. Symbols: On each slot machine, you will find loads of standard symbols. In additional to the regular ones, you will also come across some special symbols too. They include the scatter symbol, wild symbol and even the bonus symbol. Payline: A line where a payout is awarded. It is based on your winning combinations. Bet Level: The bet level provides you with the basic unit that you can use to bet. You can pick how many coins you want to bet per win line and how many win lines you want to play with. Bonus Rounds: A bonus round on an online slot is an extra round which generally comes at no cost but still awards prizes. A bonus round can crop up randomly or by achieving a specific goal. This is why the bonus round can ultimately lead to huge payouts. 3-reel classic slot machines: This version is based on the original physical slot machines. They are easy and fun to play. All you must do is match symbols that are found along the top, middle or the bottom line for some wins. 5-reel slots: The 5 reel slots are the most played casino games. They showcase some outstanding graphics and designs to allow for top gameplay. Classic Slots: They are usually designed to replicate the look of the mechanical slots machines. On these type of slots, there are usually no bonuses or extras. Fruit machines: The traditional fruit machines have 3 reels. They are adorned by fruit related symbols like oranges, melons and cherries. Video Slots: High-resolution videos that introduce a storyline to the bonus game and slot theme. They consist of animated symbols. Multi-payline slots: The paylines can be zig-zag, diagonal and straight. There are slot machines that feature 10 & Fewer lines, 15 lines, 20 lines, 25 lines, 30 lines, 40 lines and 50 & over lines. 3D slots: Consist of unmatched animation, graphics and sound effects. Progressive Slots: The jackpot rises each time a player puts a coin in the machine and spin the reels. A tiny percentage of each coin that is added to the jackpot. Mobile slots: Slots optimised for iOS and Android devices. How to win online slots? Slot games are dependent on chance and wholly random! Yet, choose your slot machine wisely. Every title is unique! They come with extra features, different soundtracks, as well as one of a kind themes and symbols. Plus, you will find that slot machines have a distinct RTP – Return to Player rate. Check them out before spinning the reels of these slot machines. Sometimes it pays to choose the slot with a high RTP rate. Another cool tip is to try the demos or practice the casino slots with free games. There are a wide number of online casinos that will give you the chance to try a free version. Playing the demos is not only fun but it will give you the chance to get familiar with the games. Always check out the Paytable. Every slot machine was created with some unique symbols and features. The Paytable is here to showcase how the symbols pay-out. This way you will have an understanding behind the mechanics of the game. Set your betting options according to your preferences. First, know how much you want to spend before you spin the reels. Set a budget and if you’ve attained the sum, you can stop your gaming session. Pay attention to the paylines. But why are they so important? Paylines are in fact a key factor on slot machines. Also referred to as a winning line, it is a combination of symbols that can result in a win. To discover how much your betting line will win, look at the Paytable. To get you started in style how about spinning the reels of Starburst Slot? You will find sparkling jewels on the reels of this breath-taking creation by NetEnt. This slot machine is all about wilds. Keep your eyes wide open! They can only make an appearance on the 3 middle reels and thus expand to grant you with 3 re-spins. Get the chance for some astronomical wins by joining in the fun anytime! On Irish Spins, you will come across some epic titles like the popular Cleopatra Slot! It's an Egyptian themed, 5 reel and 20 payline video slot by IGT. 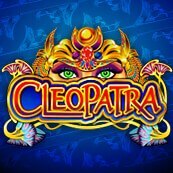 Try to hit the 10,000-coin jackpot by getting 5 Cleopatra logo symbols on the reels. Cleopatra is the wild and she can substitute to double your wins. Get ready to spin the reels for some likely sensational spoils. 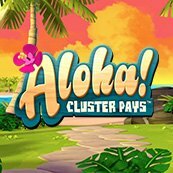 Hop on Aloha Cluster Pays! and take a virtual tour of the Hawaiian Islands. Tiki heads and a display of mesmerising symbols await you. This colourful marvel from NetEnt consists of Cluster Pays, Substitutional symbols, Sticky Win Re-spins, Free Spin Symbols, Free Spins and Stacked symbols! 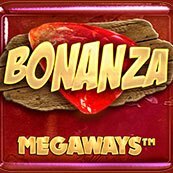 Ever heard of Bonanza Megaways Slot? Go mining for some astonishing treasures within its 6 reels. The best winning opportunities will come via the Free Spins Feature and the multipliers. Count your charms on Irish Spins! Your gaming journey starts after you’ve clicked on the REGISTER button and deposited. Looking for a top online slots bonus? The site brings you a huge and enchanting welcome bonus. 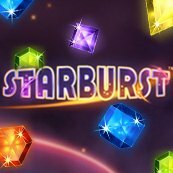 It triples your first deposit for a 200% bonus up to £100 plus 50 Free spins on Starburst slot. There’s more in store for you! Excited? Irish Spins doubles your second deposit for a 100% bonus up to £250. Finally, on your third deposit, you will bask in a 50% bonus up to a spectacular £500. You thought that was it? Well, Irish Spins always bring forth the best goodies. From daily, weekly, to monthly offers, the site provides you with the very best perks. Visit Irish Spins and discover all the promotions that are within your reach! The online slot machines on Irish Spins are exceptional. They not only vary in theme and features, but they provide some truly entertaining gameplay. Explore the myriad of titles provided by the best software developers. Place a few bets to unveil all the surprises. You never know, some exceptional wins might be around the corner.